Have you been thinking about changing the rims of your tires recently? And are you planning to buy rims that are of a different size from your old ones? If so, then you will need to buy new tires as well. Since your car’s rims are connected to your car’s tires they need to be the perfect match for one another. There are consequences when you don’t purchase the right cheap rims and tires. At worst, you will end up replacing either the rims or the tires. Otherwise, one of these two will degrade to disrepair at a much more rapid pace. But how are you supposed to go about the process of choosing the right pair? Firstly, you should decide on the size. Depending on the model of your car, you will be restricted to a couple of rim sizes which you can use. When picking the size of rims for car, you need to consider the following things. Firstly, your car will run smoother if it has larger rims. This is because a larger part of the surface area of your tires will be getting in contact with the ground. Secondly, your car will run faster if it has lighter rims because it will weigh less and become more aerodynamic. Once you have made your decision, the size of your rim will then determine the size of your tires. For the most part, having matching sizes for both your rims and tires should be alright. But you may run into problems if you are planning to buy those extra thin tires. If you do this then you will need to ensure that your tires will be able to handle the weight of the rim – and the entire car, for that matter. 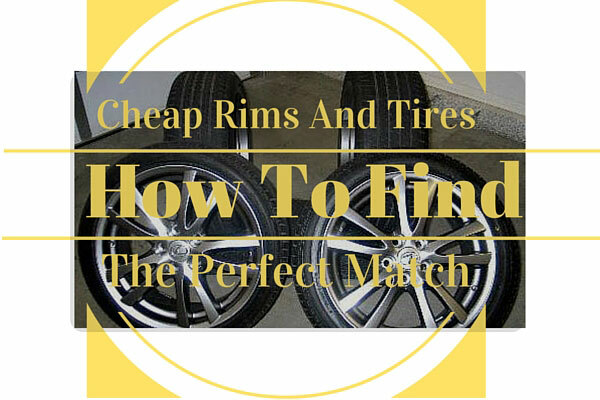 There are numerous sources from which you can buy cheap yet high quality tires and rims. If you are in the mood for a treasure hunt, you can visit scrap yards in search of these. Most vehicles that are wrecked in car accidents end up in the scrap yard, their parts being sold at prices much lower than one would expect. You won’t have a wide selection, but you will be able to buy what you need at bargain prices. Another good source for rims and tires is the internet. There are various online auto shops and specialty stores from which you can buy these. The best part about shopping online is the seemingly unlimited selection of goods you can choose from. Search online and you are sure to find the perfect set of black chrome rims and tires for you. Just make sure that the shipping costs are either waived or very low, or else you might end up paying more than you bargained for. What’s more, you can choose to purchase rims and tires secondhand. Online auctions and some other websites are good sources for these. You can also look through advertisements in newspapers and magazines in order to find these. With all this information at your fingertips, you should be more than ready to buy the perfect cheap rims and tires for your car.